"It is very clear that The Code is a labor of love, both in the work you put into it, as well as the love for Hisec miners that spawned it. 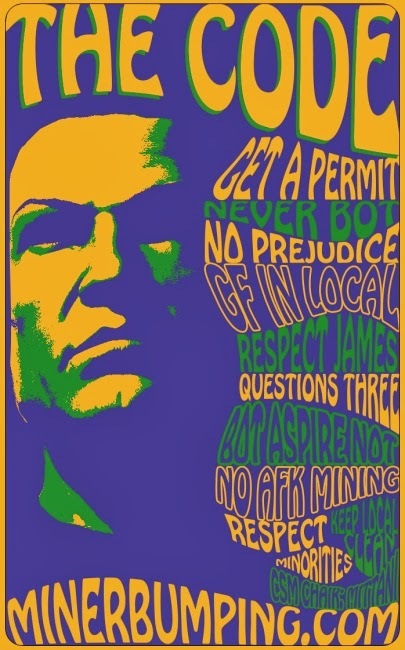 I have been using a poster in local lately that allows miners to learn the key aspects of the Code with a whole Summer of Love sort of feel." I already made a "put the 'high' in highsec" joke earlier this week, so I'll refrain. Instead I'll just say that if I were a miner and someone linked that in local, it would inspire the heck out of me. Dazzling and educational, all at once. 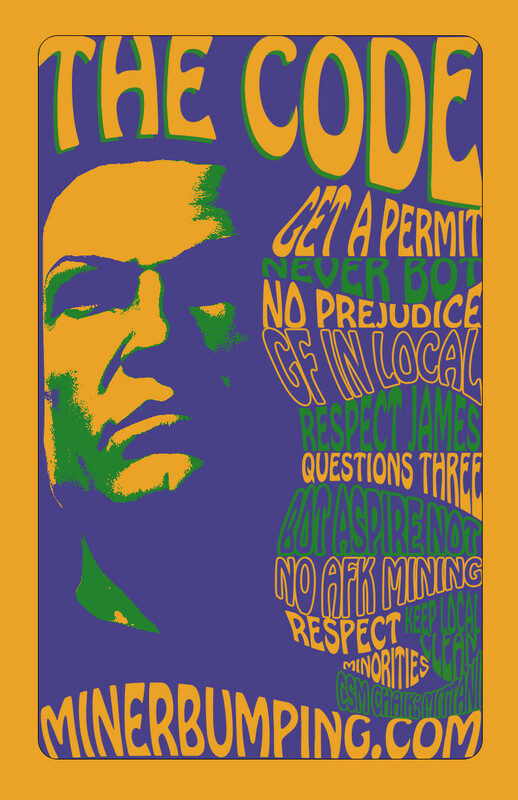 A must-have poster for any college campus or public space. Ideal for dormitories. There are many miners who choose that profession just to watch the light show. This should give them yet one more reason to switch to something else or at least buy a permit. Nice poster! Fantastic piece of work; Love's D'art. you obviously dont aspire to anything. you cant even put your name on your post. if i saw YOU in your pod in space, i wouldnt know it, because youre a nobody. James is the cat's meow! I aspire to kick the menace of null sec around, I aspire to fly a Scorpion for no other reason than I think it looks cool. I aspire to fly a Chimera one day. I also aspire to FC for my corp or maybe even my alliance out in -0.2. I aspire to be good at PVP, to tackle all that stands in my way or crush it with a blaster boat. I said "while" i'm in Secure Space, I don't live there all the time, because I actually... you know... PVP?